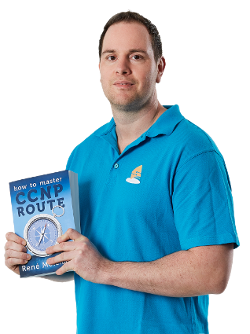 GNS3 is an excellent tool for routers but it lacks support of switches. You can use the NM-16SW module but it’s features are nothing compared to using a real switch. 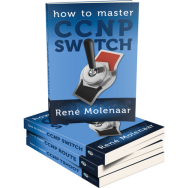 If you are studying for CCNP or CCIE you are better off getting some 3550’s or 3560 switches. Having said that it’s time to combine the best of both worlds and hook up our real switches to the GNS3 routers. Get a bunch of USB network adapters and connect each GNS3 router to a dedicated USB network adapter. Get some quad-nic PCI network cards if you want to have plenty of interfaces. Use the breakout switch and setup a 802.1Q trunk from your PC to your breakout switch. This article is about the breakout switch. If you plan to configure this for your CCIE R&S you need about 12 connections from the GNS3 routers to your real switches. What we are going to do is setup our PC which is running Linux (Ubuntu) and take a network card that is not in use. This network card will be configured as a 802.1Q trunk. Since we have a trunk we can carry multiple vlans from our GNS3 PC to the breakout switch, every vlan is connected to a GNS3 router. First we’ll start by configuring the trunk on the GNS3 PC and add some vlans. Network card which is not in use. Breakout switch, you need one that supports QinQ. 3550, 3560 or 3750 will do the trick. That’s all you have to do on your GNS3 PC, our next mission is to configure the breakout switch. We will configure an interface towards the GNS3 PC as trunk, the interfaces connected to the switches will be in different vlans where each vlan represents a different GNS3 router. That’s all for the trunk connection, our next task is to connect a cable from the breakout switch to one of our real switches. We are going to configure fastethernet 0/1 on the breakout switch and connect it to fastethernet 0/1 to our “real” switch called “realswitch”. Using the 802.1Q tunnel will make sure our real switch will see the GNS3 router as being directly connected. All there is left for us to do is configure a router in GNS3 and connect it to the correct vlan. In the picture above I configured the GNS3 router and connected it to the cloud interface. The cloud interface has been connected to vlan 101 on our eth1 network card. And that’s it! We now succesfully connected our real switch to our GNS3 router. Try to configure an IP address on the GNS3 router and your real switch and they’ll be able to ping each other. I am interested in configuring a more robust lab. I was looking at the breakout switch capability, combined with with running gns3 on VMWare ESXi, and multiple nics. It has been a while since you wrote this particular setup, so what do you think? I am hoping to be able to run the various routers, ASAs, and possibly some “other” vendors routers. I don’t have tons of $$, so buying 3750s, and even 3560s is OUT. I do have some money to buy a better PC, and I already have two 3550s. It would also be good if you could update the images here. Some are missing, and you could probably (for my benefit, at least) add a few more. Hi Rene, is it possible that you insert a bit more comments and fix the howto above. I bought your CCNA book and try to set up a breakout switch (although it is not needed at this stage). Posted on a few different forums asking for help.